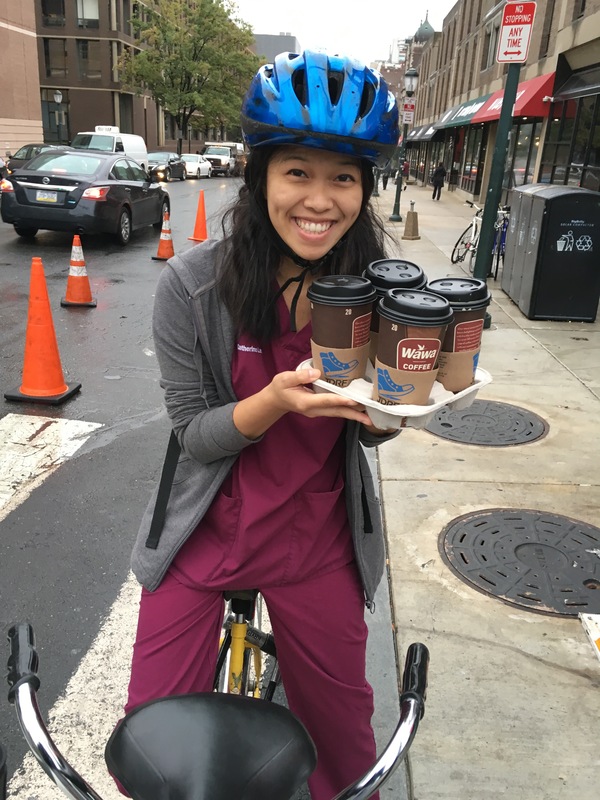 Every year Wawa gives out coffee on Free Coffee Day! And there’s nothing like biking on a tandem with Mark with 4 free coffees for our friends! I’m impressed that there was still coffee in the cups when we got to school!